I know, I know. It's barely September for crying out loud! 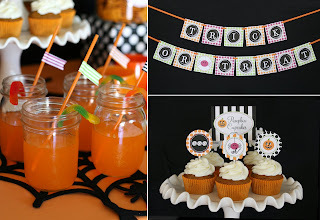 But the blog world is buzzing with Halloween tips and I can't help but share!! Click the photo for the link. 1. Two versions of lanterns that would be super cute for your porch! No rotted pumpkin to deal with either! 2. Love these Halloween treat bags. 3. This Halloween party is RIDICULOUSLY adorable!!! 4. 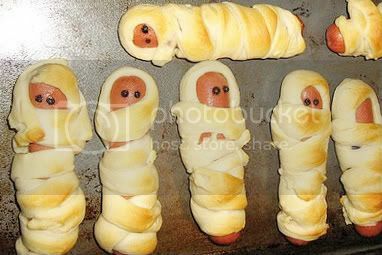 Here are two great posts rounding up ideas for some crazy cute Halloween party treats. 5. 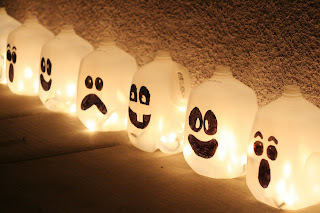 Tip Junkie has a roundup here of her previous Halloween posts, including costume ideas! I'm actually glad to see some Halloween stuff! The Christmas stuff is already going up all over the retail stores here in London! Is that crazy!?! ?